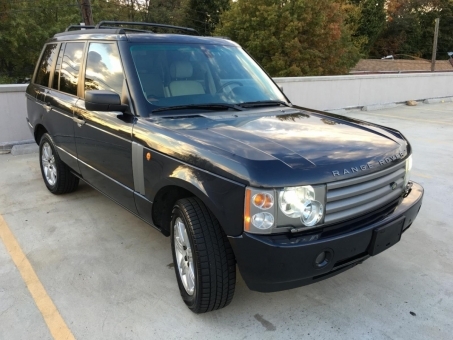 2005 Land Rover Range Rover HSE. RUNS 100%. GREEN LIGHT. 4WD/AWD, ABS Brakes, Adjustable Suspension, Air Conditioning, Alloy Wheels, AM/FM Stereo, Automatic Transmission, CD Audio, Cold Weather Package, Cruise Control, Front Seat Heaters, Harman Kardon Sound, Leather Seats, Memory Seat(s), Navigation System, Overhead Airbags, Parking Sensors, Power Locks, Power Mirrors, Power Seat(s), Power Windows, Rear Defroster, Rear Seat Heaters, Side Airbags, Sunroof(s), Tow Hitch and Traction Control.